Dr. James T. Huang is a practicing therapeutic optometrist at the Dr. James Eyecare Center in Houston, Texas. 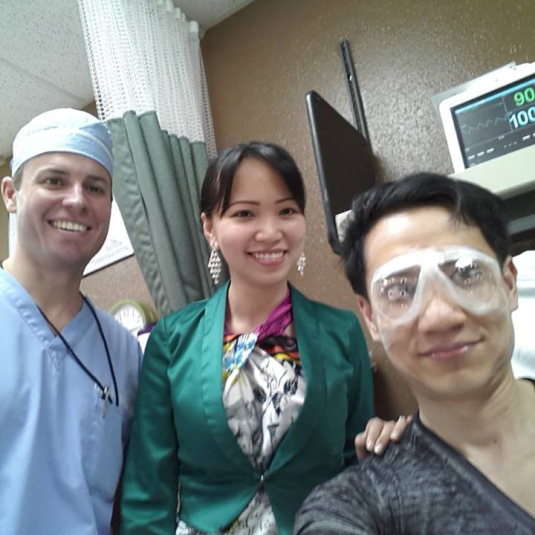 Read his story on why he chose the Visian ICL instead of LASIK reposted from Reddit. In regards to my night vision, initially with Visian ICLs I did notice mild halos around light for the first 6-8 weeks. Now I don't really see the halos anymore. Quite possibly my visual cortex has adapted to the visual aberrations. This is just a testimonial of my experience…so before you decide to get any medical procedure for yourself, please make sure you consult with a doctor who can explain all the risks to you. To read the full story please visit Reddit.